The carbon fiber technology is one of the hottest technologies in the field of high-performance composite materials worldwide. It is the first carbon fiber demo plant in Germany with complete process steps: a miniature version for hands-on experience and experimentation. The framework contract contains the development of a LNG production complex in Tatarstan, including a LNG filling station. EPC's polymer specialists attended the "Iran PET Market" conference held by the Centre for Management Technology in Tehran. 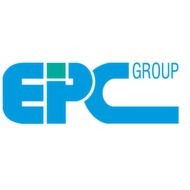 Hamburg RMN engineers join EPC Group to support: "Construction and Infrastructure"
RMN has been successfully completing complex engineering tasks for highly technical buildings for many years. Plant engineering company EPC Engineering Consulting has developed a small-scale carbon fiber demo plant, which makes upscaling much easier.